I am obsessed with makeup setting sprays and facial sprays in general, I can't get enough of them and they are a must have product in my daily routine! 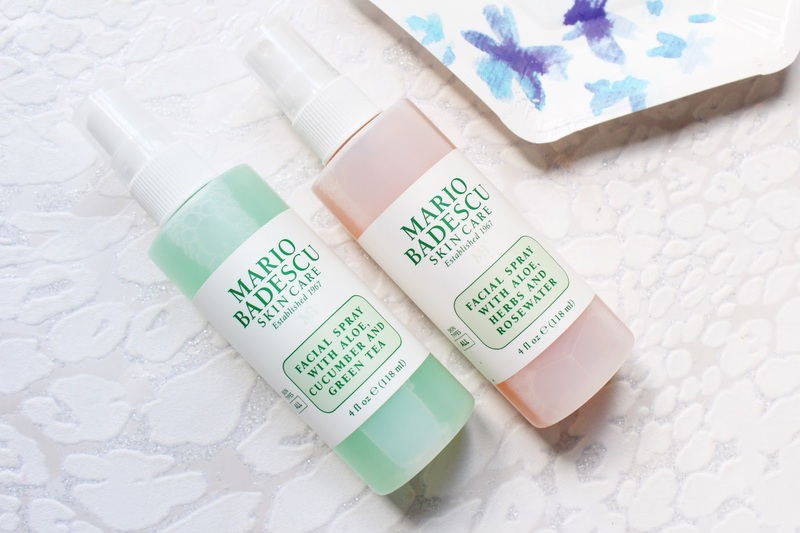 I had been wanting to try the Mario Badescu Facial Spray for almost a year and a few months ago I finally ordered it after listening to Olivia Jade rave about it and I wish I got my hands on it sooner! 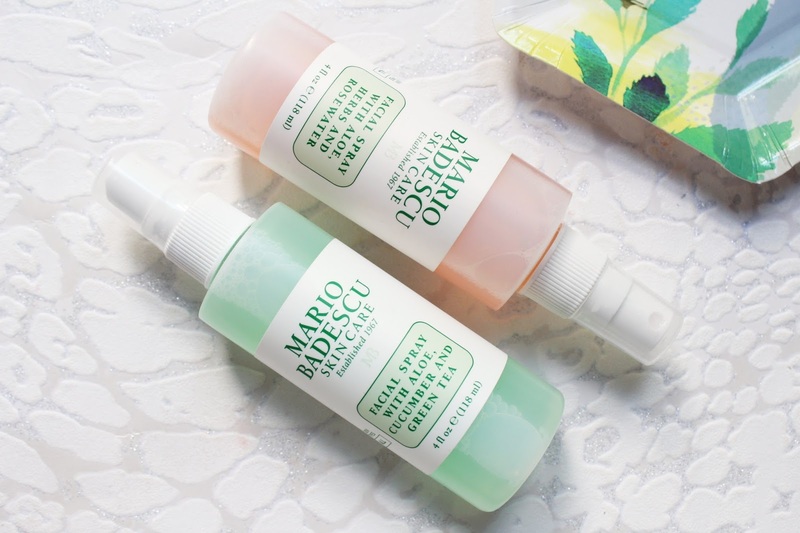 The Mario Badescu Rosewater Facial Spray is a cult favourite product and of course, I am as obsessed with it as everyone else is, I don't think I have actually found someone who doesn't like this product yet! The main reason why I had been putting off buying it was because of the scent. I hate anything floral and as this is a rosewater spray I didn't think I would like the scent but it has really grown on me and now I am such a huge fan. They have also just launched a new version of this much-loved spray with a Cucumber and Green Tea scent. Both of the mists have Aloe to hydrate and soothe the skin. The mist on these sprays is very fine and I don't feel like I have soaked my face after using them. I do notice them to lock in extra hydration into the skin. Almost every morning after I finish applying my makeup to set my face, as I wear a lot of heavy duty base products I like that these help make my makeup look a little more natural, it is my favourite use for these sprays as well as a skin refresher throughout the day. Both of the mists have the same benefits for the skin but I do prefer the new green scent, is is very refreshing! 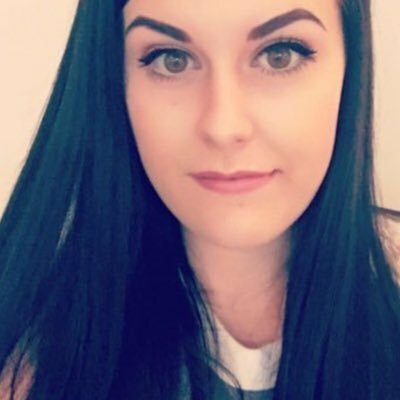 The Mario Badescu Facial Sprays are available from Beauty Bay - HERE.